Though Pentagon leaders and hawkish lawmakers have complained for years that statutory budget caps have hobbled the Pentagon in the face of global threats, defense budgeting experts said the caps should stay in place to maintain spending discipline, Defense News reports. “You need that budget disciplining process,” Pentagon Comptroller Bob Hale said Monday at a Brookings Institution event. The US and the European Union are deepening their information sharing regarding potential terrorist threats, hoping to prevent more Paris or Brussels-style attacks. How to improve the speed of that sharing, and how to do so in a secure manner, are central challenges facing officials, FCW reports. DoD recently said it is working to create a secure cloud-based system to connect and communicate with partners and allies around the world. Last week, one of the Russia-backed hacker groups that attacked Democratic computer networks also attacked several Russia-focused think tanks in Washington, DC, Defense One reports. The perpetrator is the group called COZY BEAR, or APT29, one of the two groups that cybersecurity company CrowdStrike blamed for the DNC hack, according to founder Dmitri Alperovitch. CrowdStrike discovered the attack on the DNC and provides security for the think tanks. As part of US plans to share unmanned aerial systems and accompanying technology with allies, the Navy has reached agreement with Canada for the first international sale of RQ-21A Blackjacks, Defense Systems reports. The Navy said it expects to deliver one of the systems to Canada sometime in 2017. Pakistan needs to join other nations in fighting terrorism, US Secretary of State John Kerry urged Tuesday, saying Islamabad should not feel isolated by planned trilateral talks between the US, India, and Afghanistan, Reuters reports. Sec. Kerry announced the initiative on a visit to New Delhi, and his show of support for his Indian hosts marked a departure from Washington’s usual neutrality regarding the nuclear-armed South Asian antagonists. Four times last week, speedboats belonging to Iran’s Islamic Revolutionary Guard Corps – a sort of government-sanctioned Islamic militia – harassed four American vessels patrolling the Persian Gulf. Instead of trying to match the US military weapon-for-weapon, Iran deploys large numbers of relatively unsophisticated systems on land, at sea, and in the air, says author David Axe in a commentary for Reuters. The Pentagon is well aware of the danger Iran’s swarms pose, the report says, and is devising new weapons to counter them, including small, precision-guided rockets and even lasers. The Marine Corps will deploy the F-35 into the Middle East next year, a USMC general said Tuesday, according to The Hill. “We’re the first ones that are going to be deploying it. We are going to be deploying it on the USS Wasp. The interesting thing is, not only are we deploying it on the Wasp, we’re also going to deploy it on the [USS] Essex during the same year in Central Command,” said Lt. Gen. Robert Walsh at a breakfast with defense reporters. The Navy will replace the V-22 Osprey tilt-rotor transport aircraft in Japan with a newer variant, possibly starting in 2021, the Japan Times says. CMV-22Bs will replace the two aging C-2 Greyhounds attached to the US aircraft carrier Ronald Reagan based at the US Navy’s Yokosuka base in Kanagawa Prefecture starting in 2021, or as late as 2026. The change is a part of efforts to reduce noise for residents near the Atsugi naval base. Also, a series of crashes have sparked concern in Japan about the Osprey’s reliability. While Congress balks at DoD’s request for a new round of base closings to sweep away excess installations, the military is quietly taking steps to size up the value of bases in preparation for potentially dramatic action at the local level. In an effort to influence the assessments, military communities are emphasizing their respective value — beyond military utility, as the armed forces factor in nontraditional qualities that to a large degree are in the control of any given local community. Stars & Stripes reports that one of those qualities is the rigor of education that children of service members receive from area public schools. With its first regulation allowing routine use of unmanned aircraft systems in national airspace now in place, the FAA will begin expanding beyond the initial strict limitations placed on drone use, Aviation Week reports. The immediate next steps will allow UAS flights over people, scheduled for December, and a notice of proposed rules including night and beyond line-of-sight, planned “this time next year,” says Earl Lawrence, director of the FAA’s UAS Integration Office. The Marines want an aircraft that will help them reduce their reliance on Air Force Reapers — always in short supply — to support operations launched from the sea, Breaking Defense reports. They think the answer is an unmanned tilt rotor designed to give the Marines a drone that can do everything the Air Force’s armed MQ-9 Reaper does – and more, especially taking off and landing from ships or from land where there’s no runway. A recently published patent application reveals one issue Boeing overcame to develop KC-46A Pegasus tanker’s wing aerial refueling pod, or WARP, system, FlightGlobal reports. The airflow around the tanker during flight can create a vortex that lifts the hose and drogue upward, causing instability during extension and retraction. Boeing invented a fix for the problem using funding from an $84.5 million Air Force contract awarded in 2014 for KC-46 production spares and production support equipment. The company developed a swept pylon flap which unloads the pylon and pod during flight, creating a downward flow that counters the vortex, according to the patent. The government has certain rights to the invention, the patent states. A new report from the Center for a New American Security is recommending the Pentagon take more aggressive steps to embrace open-source software, Inside Defense reports. The document , released this month, notes that top Pentagon officials have made maintaining the US military edge a priority. But software development is not getting the same attention. The Pentagon’s next-generation follow-on technologies to the F-35 Joint Strike Fighter and the F/A-18 Super Hornet is taking shape and will include improvements to low-observable capability and aircraft range, according to the service’s top scientific research and technology official, reports Jane’s IHS 360. 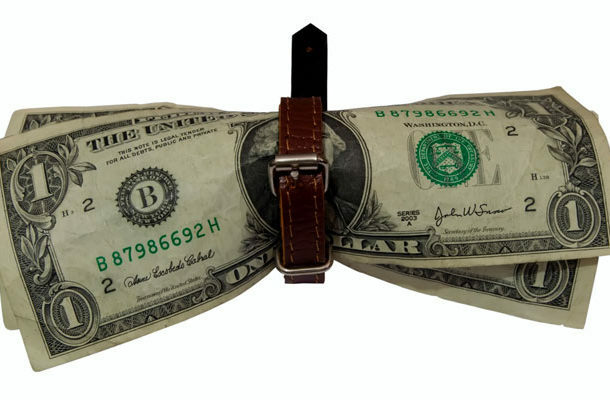 Pentagon officials allowed their employees to use government credit cards at strip clubs and casinos, without any disciplinary action, Time reports. Department of Defense workers spent nearly $100,000 at strip clubs and “adult entertainment establishments,” and almost $1 million at casinos, according to the report, which cited a May 2015 audit. At the request of the Senate Committee on Armed Services, the inspector general further investigated the matter. L-3 Communications Corp.-Systems Field Support, Madison, MS, has been awarded a $19,579,865 modification (P00044) to exercise the option on previously awarded contract FA8106-11-D-0002 for C-12 contractor logistics support. Work will be performed at Accra, Ghana; Andrews Air Force Base, MD; Ankara, Turkey; Bangkok, Thailand; Bogota, Columbia; Brasilia, Brazil; Budapest, Hungary; Buenos Aires, Argentina; Cairo, Egypt; Edwards AFB, California; Elmendorf AFB, Alaska; Gaborone, Botswana; Holloman AFB, NM; Islamabad, Pakistan; Manila, Philippines; Nairobi, Kenya; Rabat, Morocco; Riyadh, Saudi Arabia; San Angelo, TX; Tegucigalpa, Honduras; and Yokota AB, Japan, and is expected to be complete by Aug. 31, 2017. No funds are being obligated at the time of award. Air Force Life Cycle Management Center, Tinker AFB, OK, is the contracting activity. Bell-Boeing Joint Project Office, Amarillo, TX, is being awarded a $32,401,348 modification to previously issued cost-plus-fixed-fee delivery order 0026 placed against basic ordering agreement N00019-12-G-0006. This modification provides for software and hardware upgrades for 28 V-22 flight simulators for the US Marine Corps (19 MV-22) and the US Air Force (9 CV-22). Work will be performed in Chantilly, VA (26 percent); Broken Arrow, OK (21 percent); Fort Worth, TX (18 percent); St. Louis, MO (10 percent); Philadelphia, PA (5 percent); Mildenhall, UK (5 percent); Albuquerque, NM (4 percent); Clovis, NM (4 percent); Fort Walton Beach, FL (4 percent); Clifton, NJ (2 percent); and Orlando, FL (1 percent), and is expected to be completed in March 2020. Fiscal 2015 research, development, test and evaluation (Navy); fiscal 2015 aircraft procurement (Navy and Air Force); fiscal 2016 aircraft procurement (Air Force) and fiscal 2015 and 2016 special operations command funds in the amount of $32,401,348 will be obligated at time of award, $667,417 of which will expire at the end of the current fiscal year. This modification combines purchase for the US Air Force/Special Operations ($22,874,274; 71 percent) and the US Navy ($9,527,074; 29 percent). The Naval Air Systems Command, Patuxent River, MD, is the contracting activity. NAVMAR Applied Sciences Corp., Warminster, PA, is being awarded $12,420,108 for cost-plus-fixed-fee delivery order 0004 against a previously issued basic ordering agreement (N68335-14-G-0040) for work associated with Phase III Small Business Innovation Research efforts under Topics N08-023 Precision High Altitude Sonobuoy Emplacement, N92-170 LADAR Identification Demonstration, and AF083-006 Low-Cost Intelligence, Surveillance and Reconnaissance, Unmanned Aerial Vehicle. This effort provides for the development, test, and evaluation of advanced intelligence, surveillance, and reconnaissance sensors, as well as enhanced surveillance capabilities to deployed Warfighter that can be integrated into existing naval platforms to support Pacific, Central, and Special Operation command activities. Work will be performed in China Lake, CA (66 percent); inside the continental US (22 percent) and Patuxent River, MD (12 percent). Work is expected to be completed in August 2018. Fiscal 2016 working capital funds (Navy), and operations and maintenance (Defense Wide) funds in the amount of $250,624 will be obligated at time of award, $100,000 of which will expire at the end of the current fiscal year. 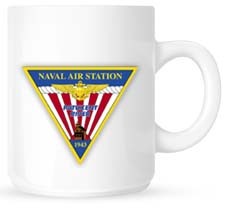 The Naval Air Warfare Center Aircraft Division, Lakehurst, NJ, is the contracting activity.